For 100 years, summer camps have been a mainstay of western North Carolina’s culture. There are over 50 residential summer camps spread among four counties—Transylvania, Henderson, Buncombe, and Jackson—making western North Carolina the most concentrated summer camp area in the world. So what impact have summer camps had on the region? We asked some of North Carolina’s outdoor industry leaders to find out. In college, Amy Allison was lost. Born and raised in the Louisiana bayou, Allison wasn’t sure what she was looking for, but so far as she could tell, the College of Charleston didn’t have it. One day, when she was studying for a test in the library, Allison came across a pamphlet that listed summer camps in the area. On a whim, she applied for a camp counselor position at Camp Kahdalea in Brevard, N.C. She was accepted, and after three years of going to school in Charleston and working in Brevard during the summers, she left Charleston for good. Allison eventually finished school at Brevard College. When she finally left her job at Camp Kahdalea after two years of working there full-time, she got a job with Leave No Trace and, later, Landmark Learning. In addition to her full-time gig at ENO, she’s also Chair of the Outdoor Gear Builders of Western North Carolina, an organization comprised of 27 outdoor brands located in her backyard. If you hang around western North Carolina’s outdoor industry long enough, eventually, you’ll hear a story similar to Allison’s: a child or young adult discovers the outdoors through summer camp, either as a camper or counselor, and their world pivots 180 degrees. That’s how it happened for Bunny Johns. 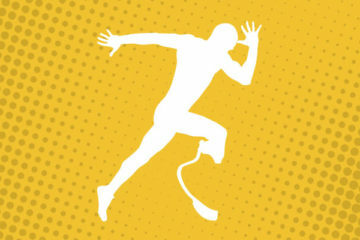 A competitive swimmer in high school, Johns didn’t have much lined up after graduation. She earned a little money on the side waiting tables in Atlanta, but then she got a call saying she was no longer needed. Almost as soon as she had lost that job, a friend called to offer her another one: teaching swimming at Camp Merrie-Woode in Sapphire, N.C. 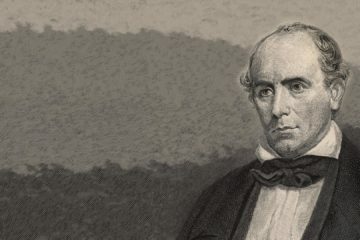 Without hesitation, Johns signed on. 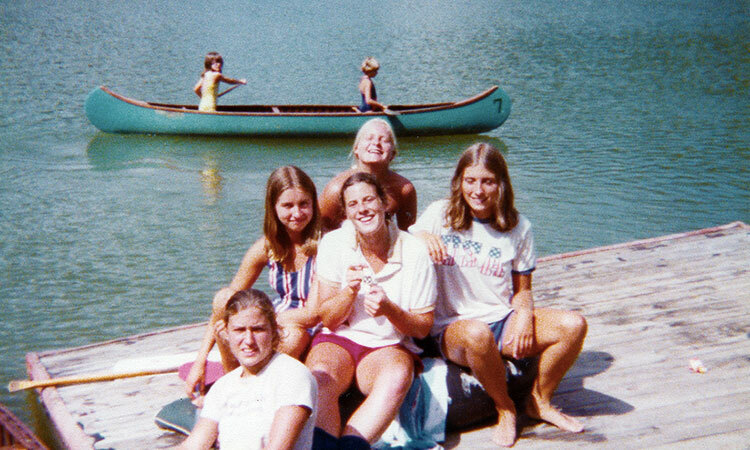 Founded in 1919, Camp Merrie-Woode is a residential summer camp for girls. 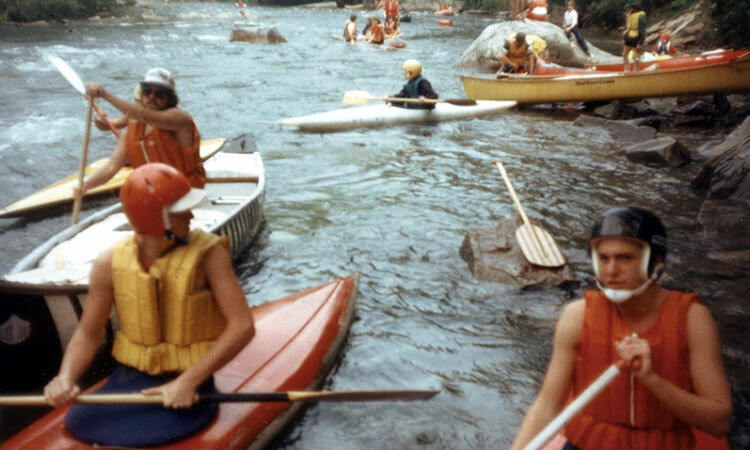 When Johns showed up to camp in 1959, Merrie-Woode offered one of the most robust canoeing programs in the region. Through its Captains Program, Johns learned to canoe, and for the next five summers, she never once returned to teach swimming. She became head of the boat dock and taught hundreds of girls to paddle. Simultaneously, Johns’ paddling career skyrocketed. 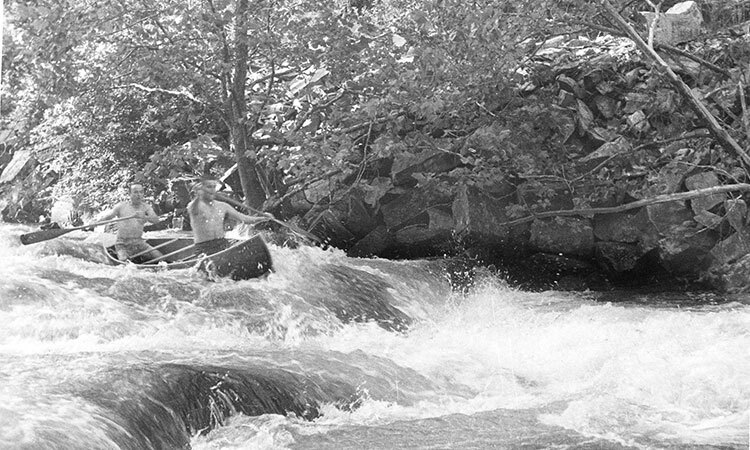 In 1964 during her last summer at camp, Johns and a handful of camp staff made the first successful descent of section three on the Chattooga. A few years later, she was also on the first descent of the West Fork of the Tuckasegee. In 2017, Johns was inducted into the International Whitewater Hall of Fame for her influence on the sport of kayaking. Throughout the 1970s and ‘80s, Johns won a number of gold medals at the Open Boat and Wildwater Nationals and World Championships. From 1976-2000, she taught canoeing and kayaking through the American Canoe Association while serving as Department Head, Vice President, and eventually President of the Nantahala Outdoor Center (NOC). Aside from developing a love of whitewater, Johns says working at a summer camp taught her how to work with people of all ages and all backgrounds, a skill she might not have learned otherwise. “I had never been much of a babysitter,” she says. Now in her late 70s, Johns still hikes and paddles. She even advises Merrie-Woode to a certain extent. She recognizes that summer camps are unobtainable experiences for many middle class and lower income families, but she says there’s no doubt that for those who are fortunate enough to attend or even work at a camp, the lasting impact is tremendous. Back in 2011, North Carolina State University and the North Carolina Youth Camp Association (NCYCA) discovered that that “something to it” went well beyond anecdotal observations. The joint study found that residential summer camps poured $365 million back into those four counties’ economies. The 50 summer camps studied additionally created more than 10,000 full-time jobs and $33 million in tax revenues. The first time NCYCA studied western North Carolina’s summer camp economic impact was back in 1999, when even the camps themselves had little idea as to just how important their establishments were. That year, NCYCA looked at only 40 summer camps, but it was clear even then that their contributions to the local economy were substantial: $96.2 million to be exact. While only 10% of summer camp staff are hired to work full-time, there are hundreds of seasonal positions available every year. According to the 2011 economic impact study, women make up the majority of the seasonal staff at 69% with 72% of part-time camp jobs held by young people between the ages of 16 and 29. Rockbrook Summer Camp for Girls Whitewater Director Leland Davis says that those jobs have helped churn out industry leaders for decades. If they’re anything like Davis, chances are they’ll continue working outdoors in some capacity. As a child, Davis was a camper at Camp Arrowhead, now called Camp Glen Arden. He later worked his way through the ranks as a junior counselor, counselor, and program manager. 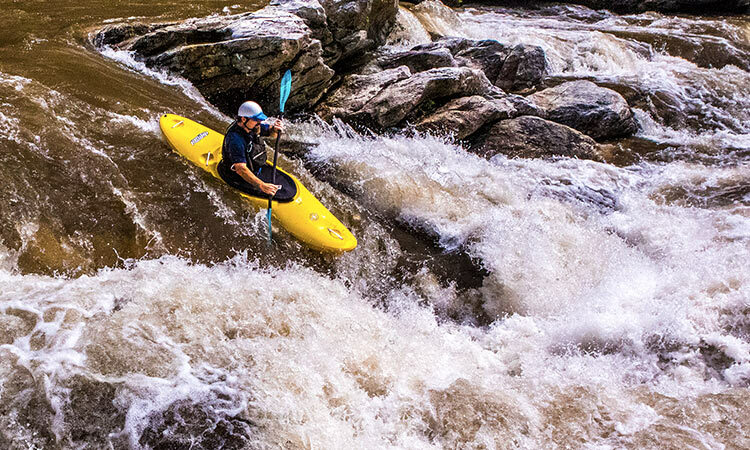 After living on the road for a decade as a full-time kayaker, Davis returned to the camp industry in 2012 to run Rockbrook’s whitewater program. 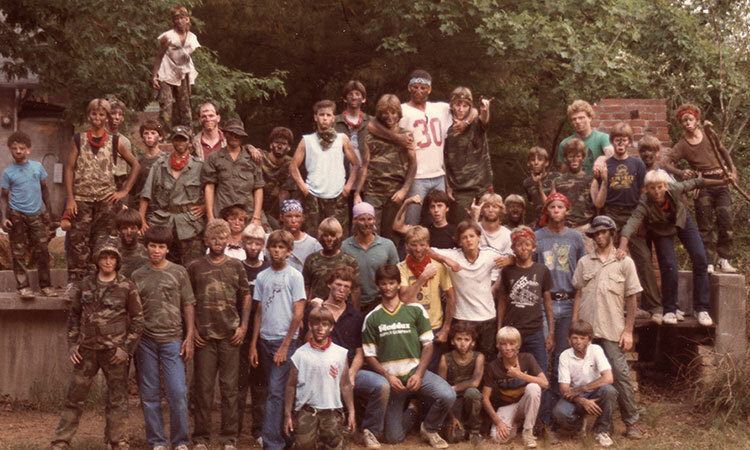 This year marks his 28th season working at a summer camp in North Carolina. So says Fritz Orr III, the grandson to Fritz Orr, Sr., longtime owner of Camp Merrie-Woode. From the day he was born, Orr was involved in North Carolina’s camp scene. His grandfather and Frank Bell, Sr., founder of Camp Mondamin in Tuxedo, N.C., were old camp buddies from Camp Toccoa in Georgia. The Orr family ran Camp Merrie-Woode until 1978, the year the camp became a non-profit. Orr has been front and center for all of kayaking’s most notable developments: first in the ‘70s when kayaking made its debut at the Olympics and the film Deliverance hit screens nationwide, and again during the ‘90s when the playboating revolution changed the sport forever. For years, Orr worked with Dagger to develop numerous boats, most notably the RPM. To this day, he continues to hand build canoe paddles (which made him a finalist in the 2010 Garden and Gun Made in the South awards) and teach canoeing at Camp High Rocks. Everything he’s ever done in life, Orr credits to summer camps. He says the longstanding success of western North Carolina’s summer camps isn’t about location or programming, although both of those are certainly exceptional. He says it’s the level of competency displayed by camp staff that really makes a summer camp great. That’s something Landmark Learning founder Justin Padgett has also witnessed, especially within the past decade. When Padgett started Landmark Learning in 1996, camps were one of the organization’s main clients. Over the years, he’s been impressed to see the commitment western North Carolina’s camps have made toward building competent staff in-house and credits that to the camps’ high staff retention rates. Padgett and his wife Mairi also went to summer camp, though not in western North Carolina. Both of their children go to summer camp—this year, their daughter will be attending her third summer at Camp Green Cove while their son will be heading to Camp Mondamin for the first time. 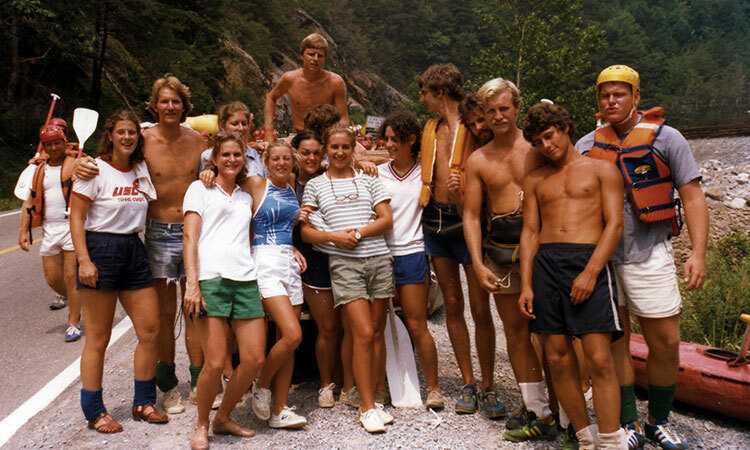 Padgett thinks it’s this tradition—of parents going to summer camp and then sending their kids to summer camp, and so on and so forth—that has absolutely turned western North Carolina into a major player in the outdoor industry. North Carolina isn’t ignorant of the fact that the state’s outdoor industry is an economic machine supporting over a quarter-million jobs. Earlier this year, the state hired an Outdoor Industry Recruitment Director for the sole purpose of promoting and attracting outdoor industry businesses. But arguably more important than bringing in the big bucks, summer camps have proven instrumental in another facet of North Carolina’s outdoor landscape: conservation. Representative Chuck McGrady was executive director of NCYCA at the time of the 2011 summer camp economic impact report. The former owner of Falling Creek Camp in Zirconia, N.C., McGrady is also a republican, camp advocate, and staunch conservationist. He’s reached across the aisle on a wide range of issues, from coal ash to beer bills, and helped bring major outdoor initiatives, like the protection of DuPont State Recreational Forest, come to fruition. McGrady acknowledges that his own time as a camper at Camp Sequoyah was fundamental in instilling the value of the area’s outdoor resources. He’s made it his life’s work to keep those resources the same as he experienced them all those years ago. For areas of western North Carolina not protected by summer camps, it’s former campers and camp staff who are doing the legwork now to defend those places most in danger. The Nature Conservancy’s North Carolina State Director Katherine Skinner is one of those tireless champions. An alumna of Camp Green Cove, Skinner says the camp left such an impression on the value of nature that many of the camp’s out-of-state alumni will donate significant sums of money to The Nature Conservancy’s North Carolina efforts. 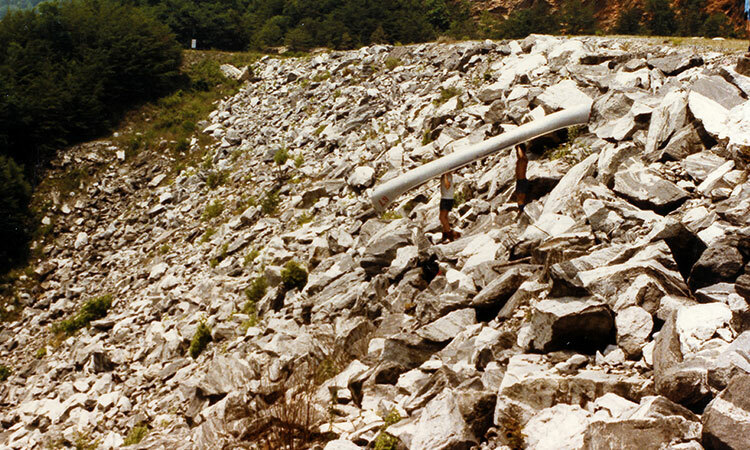 In the early 1990s, Skinner headed efforts to purchase a stretch of the Green River from Duke Power Company. It was the section Camp Green Cove used to teach campers to paddle. The Nature Conservancy also protected the headwaters of the Tuckaseegee River, another important river site used by many camps in the region. It’s clear that summer camp taught Skinner and many others one very fundamental theory that has been cited by environmentalists since the dawn of Thoreau: you can’t love what you don’t know. 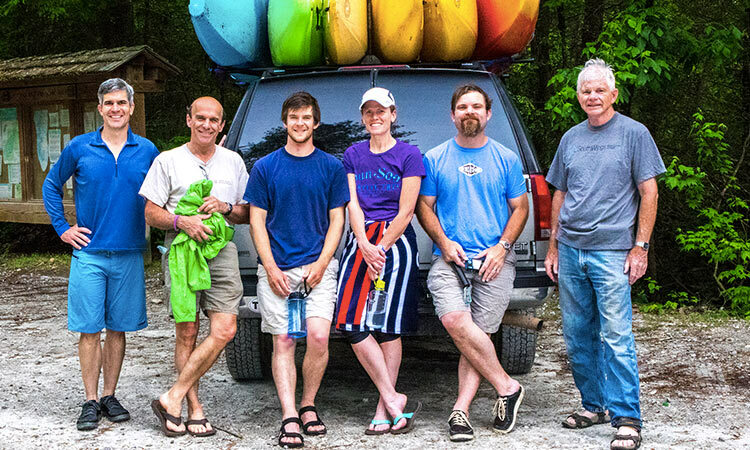 For Skinner and her fellow camp compadres, they know western North Carolina’s rivers and forests inside and out, and they remain ready to rally in their defense. At their core, summer camps are laboratories for self-discovery, creativity, and resiliency. Numerous studies out of the American Camp Association have proven that summer camp experiences increase self-esteem, conflict management, leadership, and independence in children. In addition to the environmental awareness camp instilled in Skinner, her years at Camp Green Cove also showed the potential women specifically could achieve. Skinner was a camper in the 1960s and ‘70s, a time when women were just starting to elbow their way to positions of authority. Watershed Dry Bags founder Eric Revels similarly picked up on that limitless possibility when he was a camper at Camp Mondamin. As a child growing up in New Orleans’ French Quarter, Revels had no idea what lay beyond the city until he arrived in western North Carolina with Robert Danos, his childhood friend and now Program Director of Camp Mondamin. In fact, Revels can pinpoint the exact moment at camp when his worldly views about the future were turned upside down. 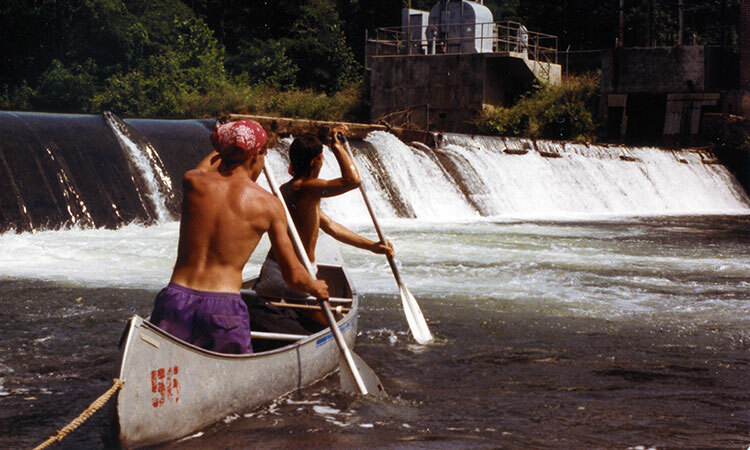 He was on an overnight paddling trip on the Chattooga River with John Dockendorf, who later founded Adventure Treks and Camp Pinnacle. Everyone was sitting in a circle, discussing their futures, when Revels was asked what he wanted to do when he grew up. “I think I’ll be a doctor, maybe a lawyer,” Revels said. They make good money. In reality, Revels didn’t know what he wanted to do with his life. Dockendorf, who likely sensed that, told him passion, not money, was more important. And that was it, the moment a lightbulb went off in Revels’ head. One of those larger-than-life mentors for Revels was Lecky Haller, a Baltimore-bred Olympian. Haller, who had also gone to Camp Mondamin and later worked as a counselor there, played lacrosse for 16 years throughout high school and college, competing at the highest level possible. He eventually switched to competitive canoeing, the basics of which he had learned all those years ago at Camp Mondamin. He and his brother Fritz won the world championships in tandem canoe in 1983, which launched Haller into a 20-year career of competitive paddling. In all, Haller won nine medals at the World Cup stage, four medals at World Championships, and twice represented the U.S. in tandem canoe slalom at the 1992 and 2000 Olympics. So when he showed up to paddle with the Mondamin campers, it was no wonder he was granted legend status. Despite all the medals, Haller, who now directs the Asheville School’s athletics department and still teaches paddling at Camp Mondamin, thinks the most important thing camp ever taught him was the reward of the activity, not the podium. Haller, like Leland Davis and Fritz Orr and Bunny Johns, have come full circle in their respective summer camp careers: first as camper, then counselor, now consultants and program directors at the very camps they once enjoyed. That’s how it goes here—forever friendships are formed, life-altering memories are made, and those blissful three months of the year live on generation after generation. It’s family weekend at Camp Mondamin, the last family weekend the camp will ever host. Eric Revels and his family are posted up on Lake Summit’s shores. His son, then only five years old, wants to be just like his dad. He wants to be a kayaker. But per Mondamin rules, any camper who wants to kayak must be able to swim for 30 minutes. Revels’ son is too young to be a camper yet, so he only has to swim for 10 minutes. But still, at age five, swimming continuously for 10 minutes is no small feat. His son tries, and fails, once, twice, three times. He staggers out of the water, clearly downtrodden but not yet defeated. Revels agrees to swim with him on his fourth try. The father-son duo wade back out in the water and begin to swim. Suddenly, the sky clouds over. Rain begins to fall in heavy sheets.